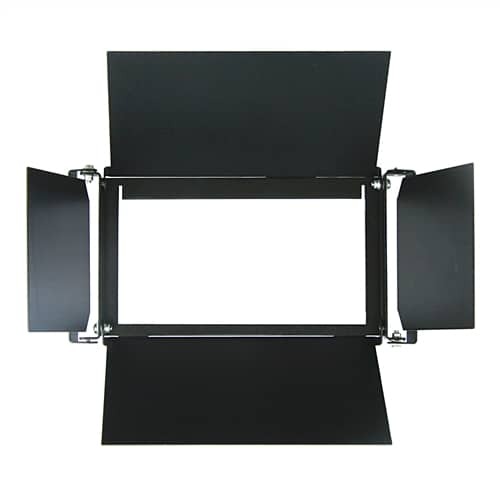 Control light spill with our compact 4-leaf barn door accessory. It attaches quickly and securely with no tools, and the leaves fold in flat to create a protective shield for the phosphor panel. Lightweight, rugged and easy to adjust.